This particular visit I found 2 nostalgic treasures from the 80s. One is this cute little glo worm! I remember having one of these when I was little...just needs a good cleaning and new batteries. I'm excited to see if it still works. 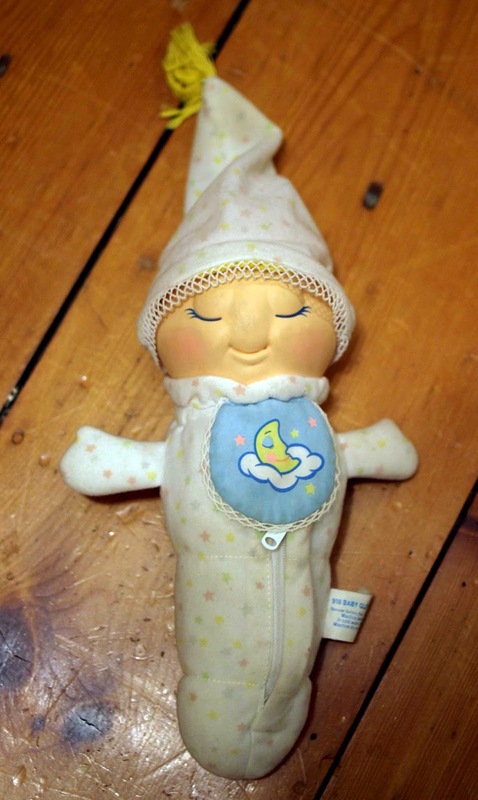 Another was this adorable Cabbage Patch doll. She was so cute, I had to grab her. When I was young, I had a blonde one with pigtails and my sister had a brunette one with braids. She was in really good shape, and I am amazed that some of these toys from my childhood (30 years ago!) are still in such a good shape. The girls were not attracted to her AT ALL, which is funny as these were all the rage back in the 80s. 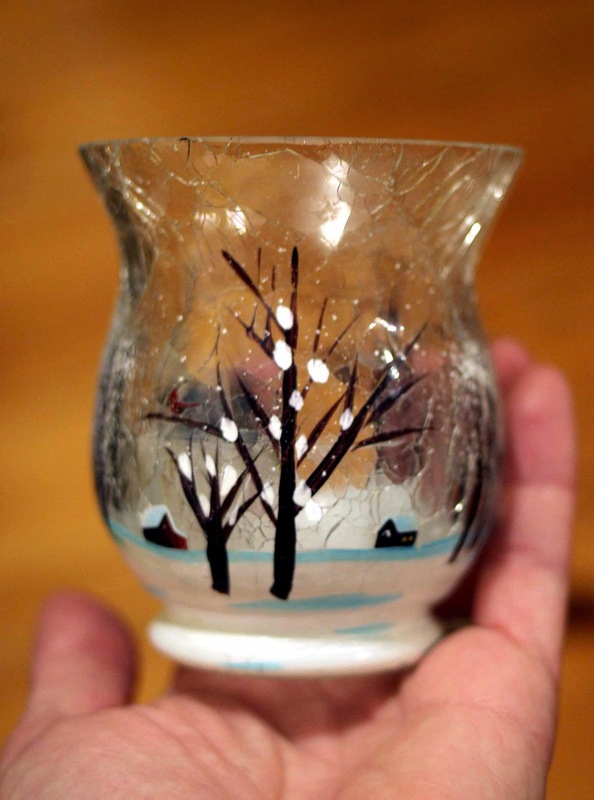 Non-toy related, I found this cute and cozy little candle jar with a beautiful winter painting. Don't you just love seeing something that really strikes a chord in you? I don't know why, but this scene gave me such good feelings. :) I'm sure it will look quite cozy with a little tea light in there. And lastly, there was this adorable little doll chair (made out of clothes pins?) Too cute. I hope you are all having a great week. I've had ups and downs this week, to be honest. I've started to practice meditation and have gotten amazing highs from that, but also some stress that is lingering around that I am working through. I'm so glad tomorrow is Friday! Have you guys found any sweet thrifty treasures lately? Yes, it is so much fun to find these little treasures..especially when it's something you had your eye on, but weren't actively thinking about it. Such a rush! 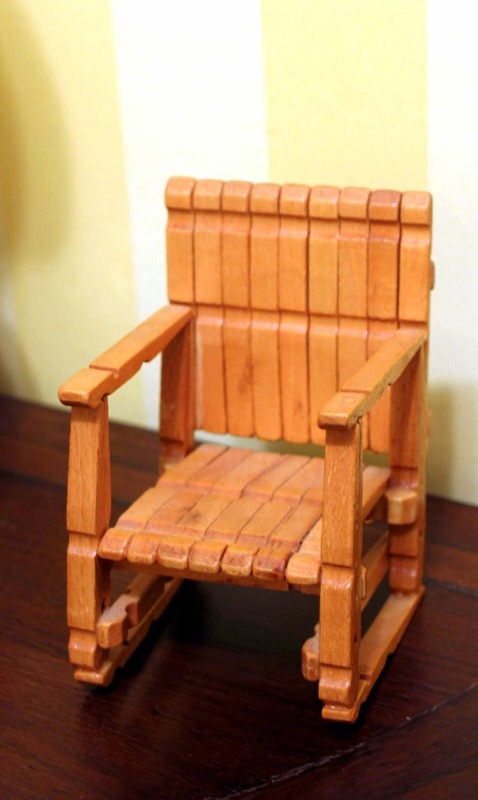 Glad to know you had such fun making the little chairs when you were young..I'll think of you whenever I see this little chair! ;) Have a great weekend! Great finds! 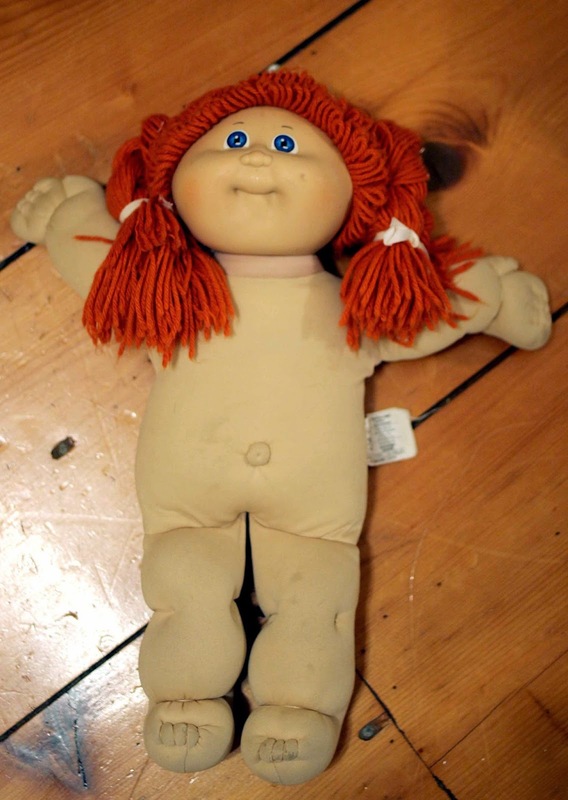 My daughter has a cabbage patch doll too, but she got her in 2006. I remember how people lined up to get those in the '80s!